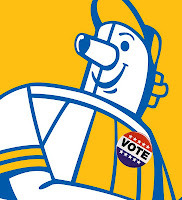 Borchert Field: Vote for the Beer Barrel Man! 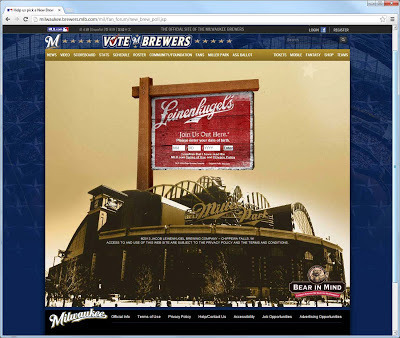 Help the Brewers pick a "New Brew"
The Milwaukee Brewers have partnered with Leinie's to create a "New Brew," a beer that will be served exclusively at Miller Park this year. And now it's time for the fans to join in and name that Brew. 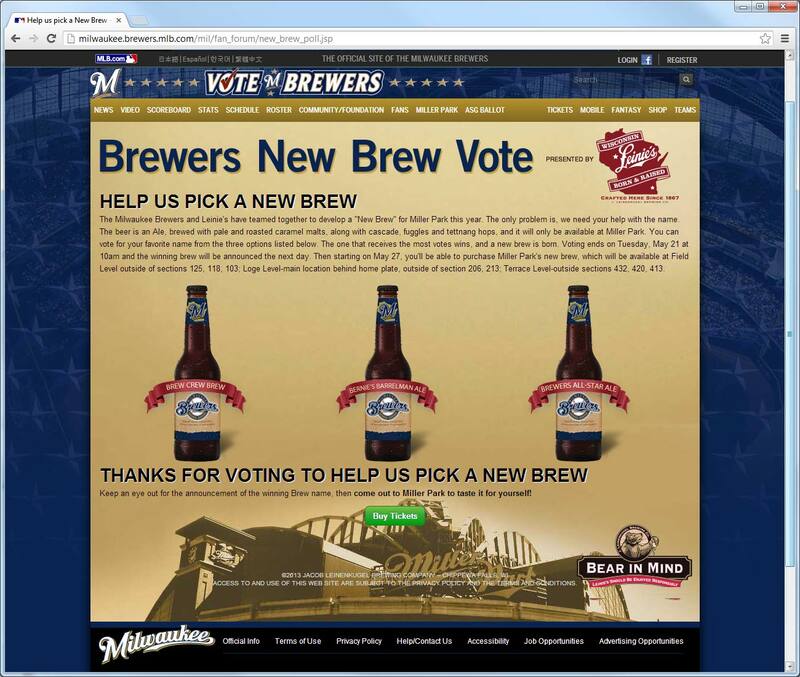 Beginning at 10 a.m. today, fans 21 years and older can visit Brewers.com/newbrew to vote for their favorite name for the beer, choosing from three options. "We're always looking for opportunities to create unique offerings at Miller Park to enhance the fan experience, and we're excited to debut this exclusive beer during the next homestand," said Brewers Chief Operating Officer Rick Schlesinger. The newly-created beer is an ale, brewed with pale and roasted caramel malts along with cascade, fuggles and tettnang hops. It will be available exclusively at Miller Park beginning with the game on Monday, May 27. The three names fans can choose from are "Brew Crew Brew," "Bernie's Barrel Man Ale" and "Brewers All-Star Ale." 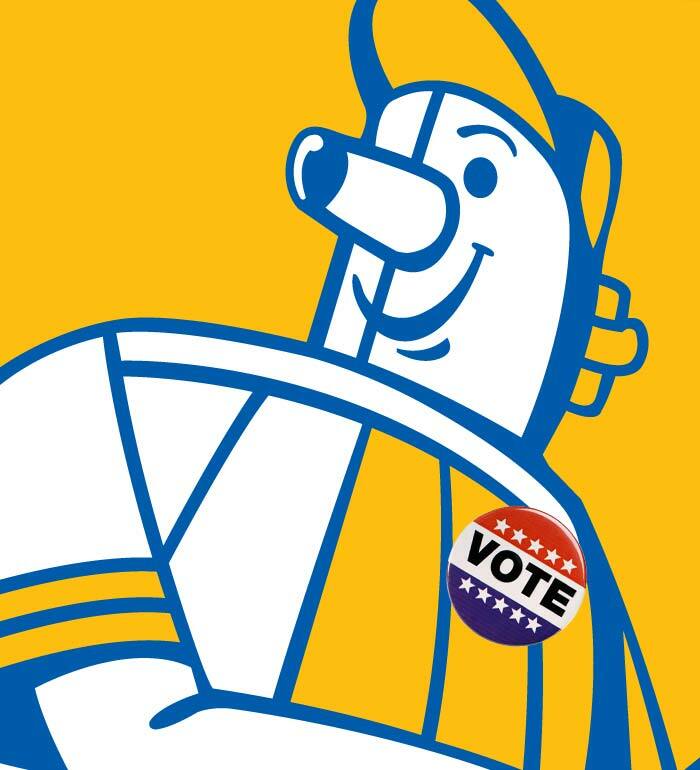 Voting ends on Tuesday, May 21 at 10 a.m. and the winning name will be announced on Wednesday, May 22. 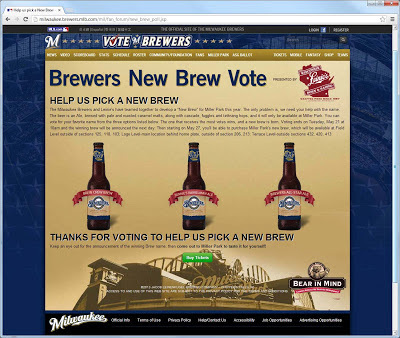 The "New Brew" will be available at Miller Park beginning Monday, May 27. Fans will be able to purchase the "New Brew" at locations on the Field Level behind sections 103, 118 and 125; on the Loge Level behind home plate and sections 206 and 213; and on the Terrace Level outside sections 413, 420 and 432. Come on, it's got to be "Bernie's Barrel Man Ale", right? A little tribute to our very own Owgust, and his successor, the Beer Barrel Man who represented the club before there even was a club, from Bud Selig camping out at Winter Meetings through the rough early years and Hank Aaron's return right up to the beginning of the Yount era and the Brewers' Golden Age. Then click the middle choice, and away we go! Fingers crossed; we'll check back when the winner is announced. 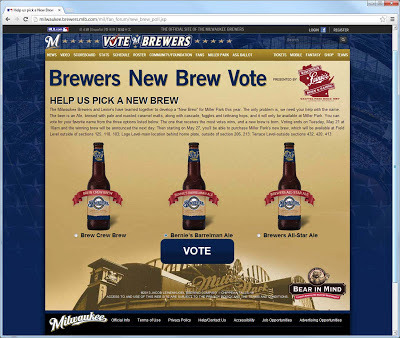 Since it's a Miller Park-only brew I don't know if we'll get any kind of custom labeling or signage, but it would be fun to see what they come up with.